We are manufacturing high quality and sturdy Multi Screw Conveyor. These conveyors are mainly used to convey powder and granules in bulk quantities. We use the finest materials to make our Multi Screw Conveyor fit to be used in food, chemical, metallurgy, and construction industry. Apart from standard size, we can manufacture this conveyor as per customer’s specific needs. Flow Tech Equipments (india) Pvt. Ltd.
Multi Screw Conveyor is provided by our company in wide range, which is extensively used as a screw feeder and may consist of town, triple or quadruple screws, side by side. These products are highly appreciated amongst the customers due to its longer life, corrosion resistant nature and good quality. 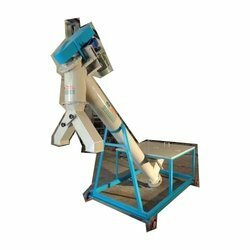 We offer Screw Conveyor which is a Bulk Material Handling device capable of handling great variety of materials that have good flowing ability like powder and paste etc. Depending on the volume of inlet feeds, it is designed in various length and sizes. Zero wastage and fast moving of products are assured in our all designs. By utilizing our years of experience, we are providing a broad assortment of Multi Screw Conveyor. Our offered products are available in various specifications as per the demand of our clients. Manufactured under innovative workforce using advanced technology and hi-end tools, these conveyors are widely acclaimed in the market. 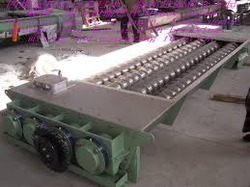 We are dealing in Multi Screw Conveyor.